The Fitzwilliam highlighted cast iron fireplace insert is a solid cast iron insert manufactured from the highest quality materials on the market. Therefore, the insert is extremely durable and is built to last. 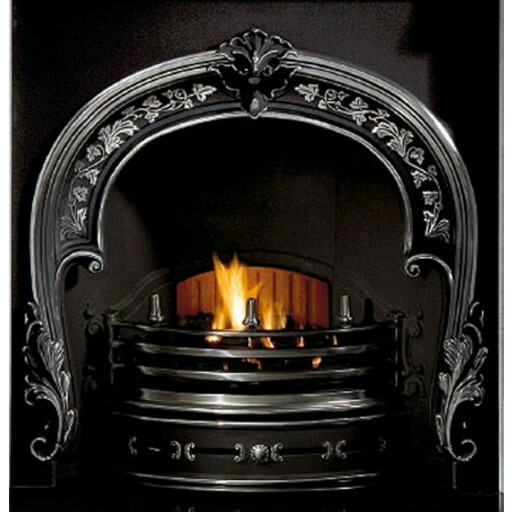 The Fitzwilliam highlighted cast iron insert features a traditional style with a black and highlighted finish that is sure to complement any décor within the home. The insert comes complete with a damper and cast iron back, but does not include a hearth or fireplace. The Fitzwilliam insert can be used with solid fuel, as well as with either an electric insert fire or a decorative gas burner. 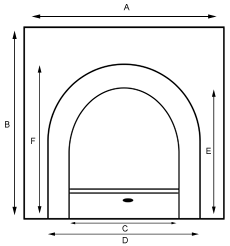 The insert's dimensions are a height of 1030 millimetres and a length of 1050 millimetres. The Fitzwilliam highlighted cast iron fireplace insert will provide any room with a stunning and practical focal point that can be enjoyed for many years to come.